Robert Stamm grew up with six brothers and sisters in a working-class family in Remscheid. After learning the toolmaker’s trade he attended the local technical college for toolmaking and mechanical engineering. He was drafted to military service in the spring of 1918. Stamm joined the German Communist party (KPD) shortly after its establishment, and was involved in actions against the Kapp putschists in 1920 and against the separatist groups in the Rhineland in 1923. From 1924 to 1930 Stamm worked in various capacities in the KPD in the Rhine-Ruhr area, including as a practical trainee and later an editor of the labor union and business sections of the KPD newspaper “Freiheit” (Freedom) in Dusseldorf. In 1930 the KPD leadership sent him to Bremen as a district leader. From 1932 on he was a member of the Reichstag. After the Reichstag fire he worked underground. He left Bremen at the beginning of April 1933 and moved to Berlin. He was political secretary of the Lower Saxony district leadership from May 1933 to the spring of 1934, and then chief of the KPD’s Berlin-Brandenburg organization until October 1934. Stamm left Germany in November 1934 and participated in the preparations in Moscow for the VIIth World Congress of the Communist International. He returned to Berlin at the beginning of March 1935 on the decision of the KPD leadership. 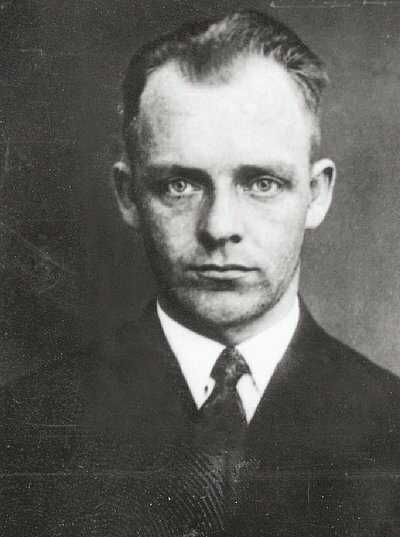 Stamm was arrested on March 27, 1935 with Adolf Rembte, Käte Lübeck, and Max Maddalena. Despite a big international movement of protest and solidarity, Robert Stamm and Adolf Rembte were sentenced to death by the People’s Court on June 4, 1937 and murdered on November 4, 1937 in Berlin-Plötzensee.